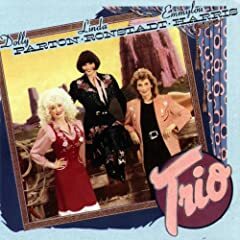 The Canon, Examined: Dolly, Linda and Emmylou's "Trio"
In an era where Neko and Jenny L. are the best we’ve got in the non-Nashville female country singer department, an album as gorgeous and effectively traditional as Trio is almost a revelation. It’s not surprising, considering the cast of characters are each solid gold in their own right: Dolly Parton, Linda Ronstadt and Emmylou Harris are certified Country Music Superstars, responsible for some of the genre’s biggest hits and best albums. But point to nearly any supergroup album and it’s either kitsch (the loveable, George Harrison-led Traveling Wilburys) or crap (just about anything else, though Audioslave comes to mind). What’s so remarkable about Trio is that, without trying to break boundaries or carve a new sound, it just works. The three women harmonize gloriously — this might be as close as country music ever got to Crosby, Stills & Nash — and the track listing does a nice job of rotating lead vocals between the three. So there’s no overshadowing here, though on “Hobo’s Meditation,” Harris’ warbling harmony line almost steals the whole show. These are simple songs, strummed on acoustic guitars and played with clean, unfrilly arrangements. The singers are the focus here, and as good as the songs are (“Making Plans” offers a killer line in “I’m making plans to be lonely / because you’re making plans to leave”) it’s up to the voices to carry things. And they do, as effortlessly as only singers of this caliber can do. Trio remains a country classic, and many (if not all) of today’s musicians would do well to study it carefully. The Canon, Examined is a continuing series spotlighting the finest records to ever slip through the cracks. Click below for previous entries.